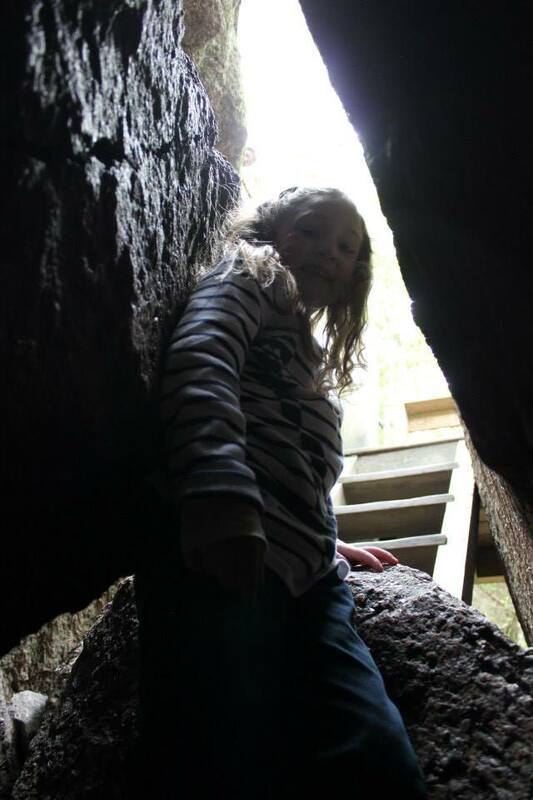 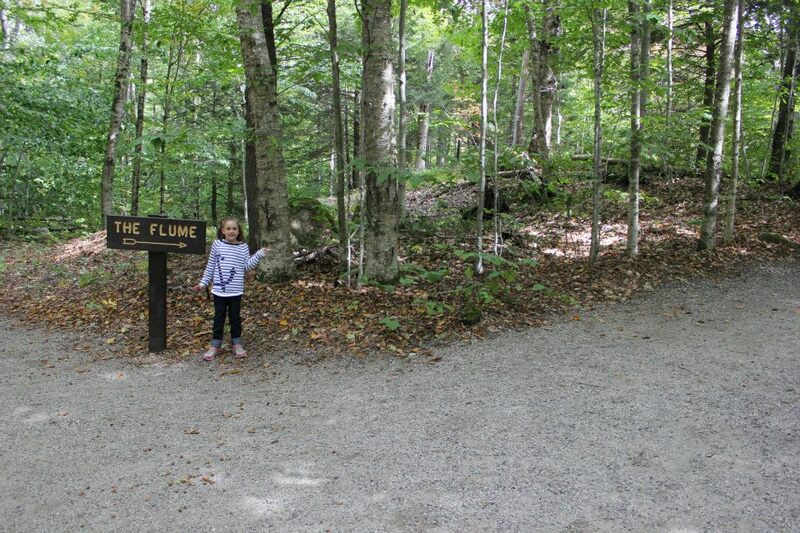 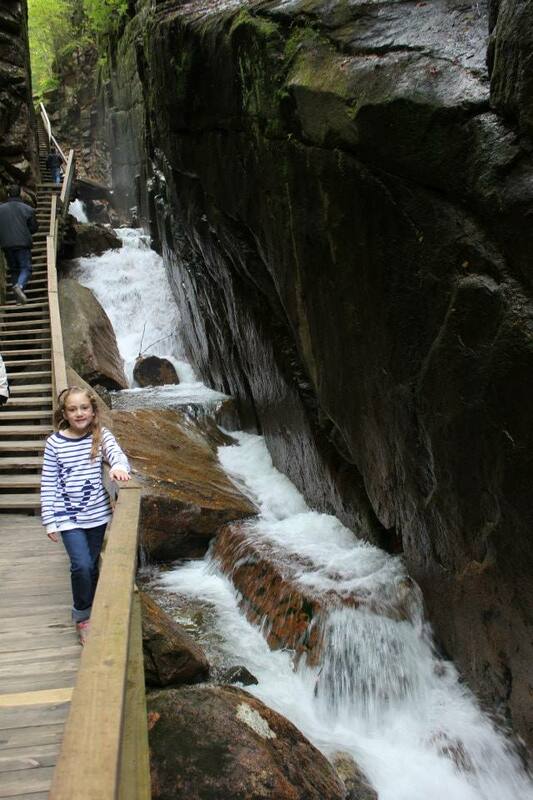 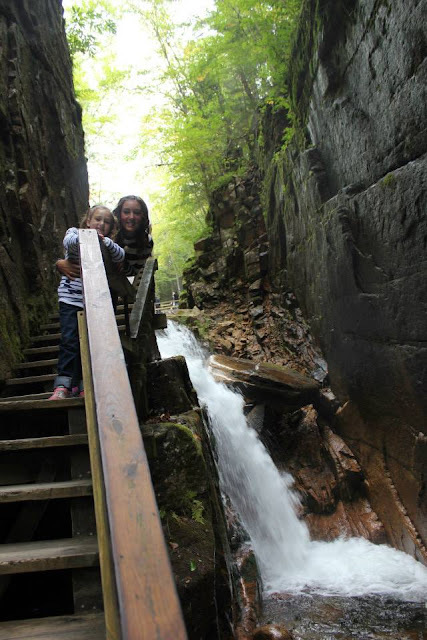 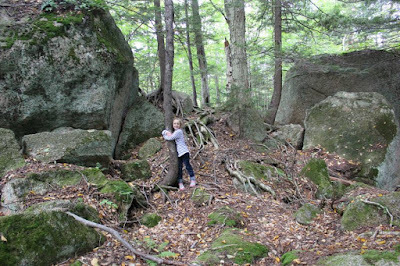 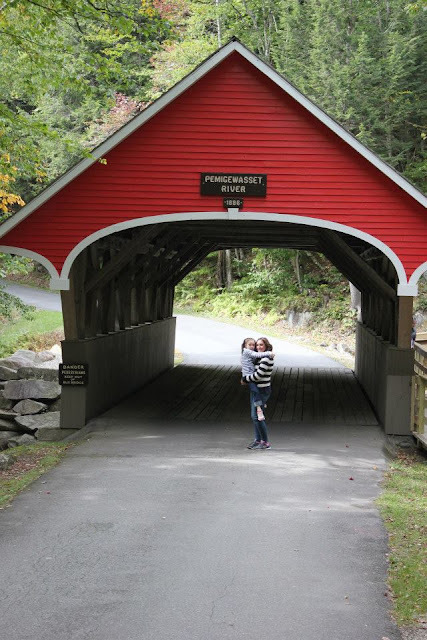 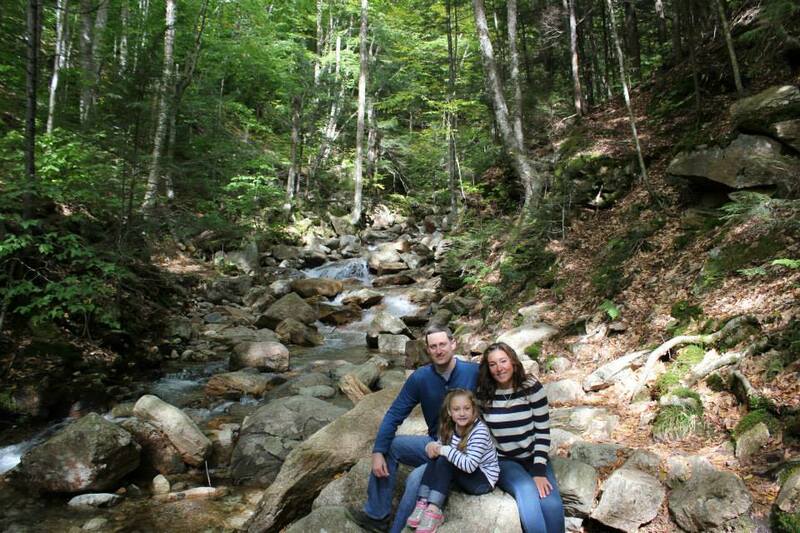 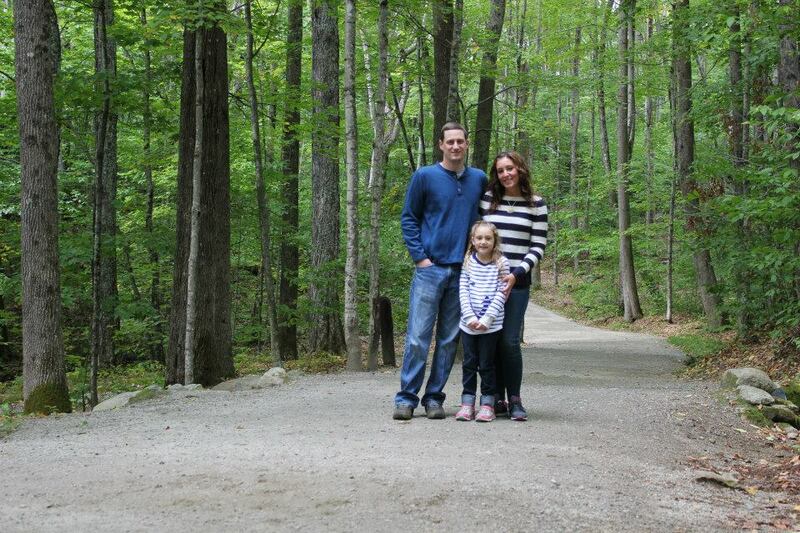 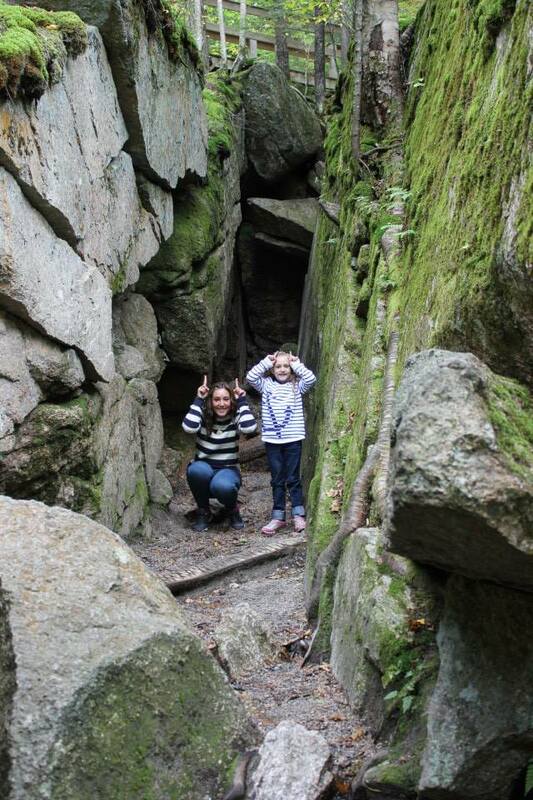 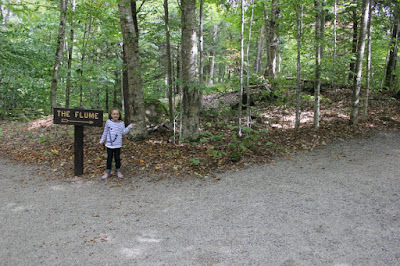 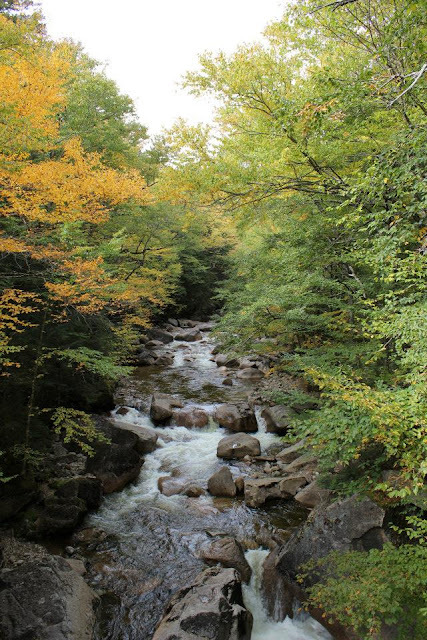 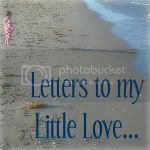 Daddy grew up exploring the Flume Gorge with his family during their New Hampshire vacations, but this year you & I experienced it for the first time. 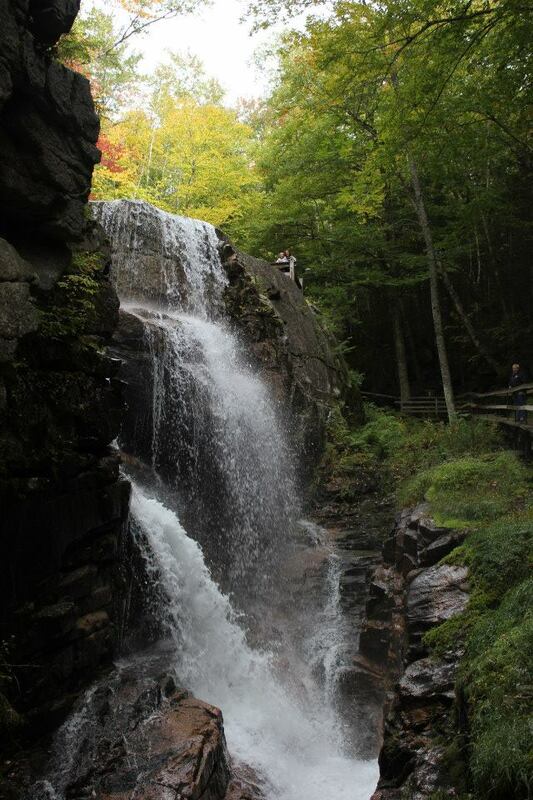 I was completely blown away. 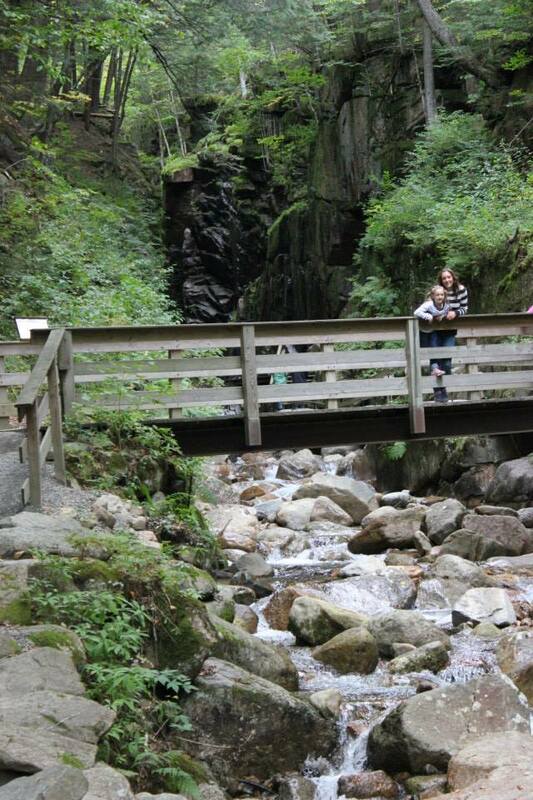 There was so much natural beauty along the entire trail. 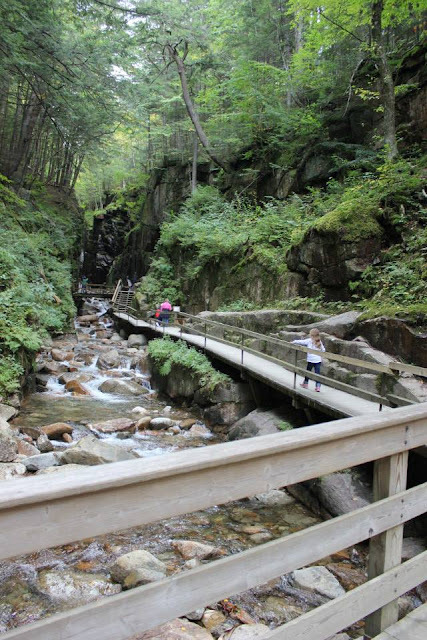 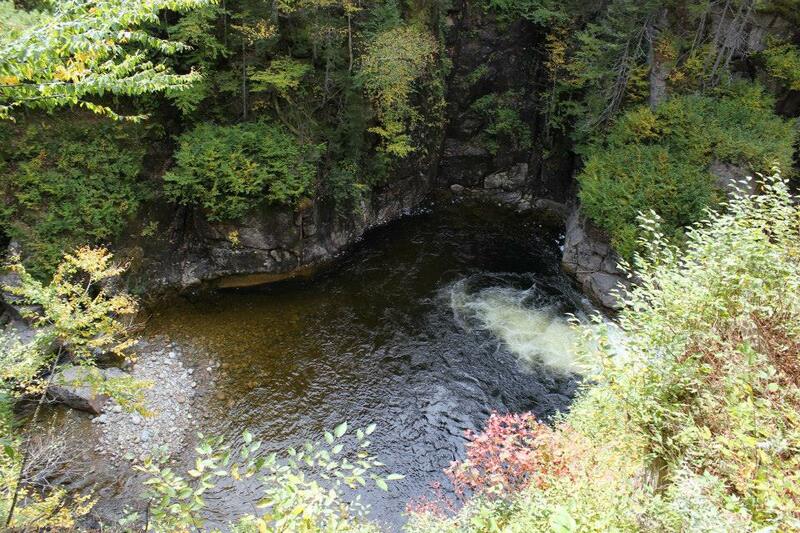 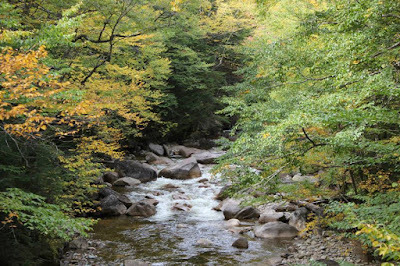 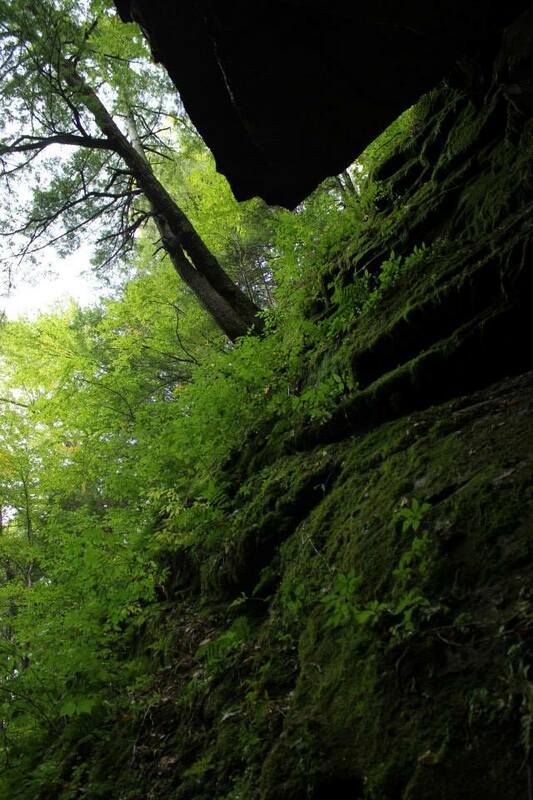 The Flume Gorge trail is a two mile loop. 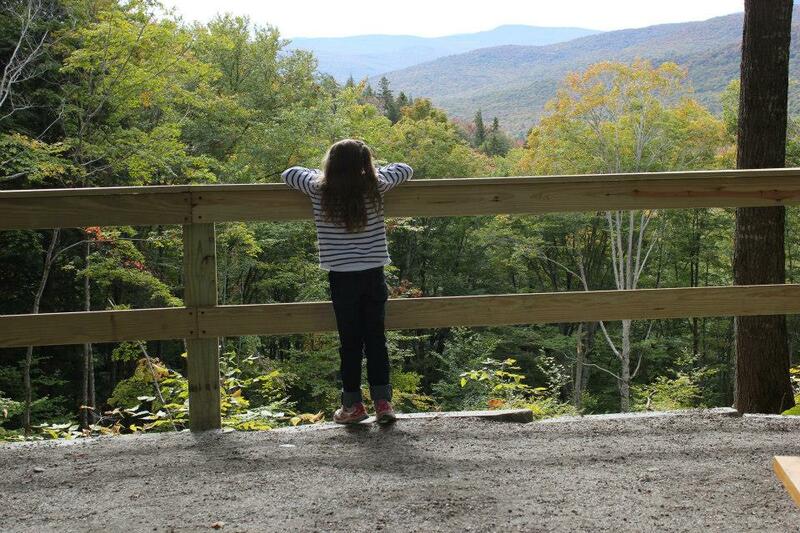 Two miles may have been a bit too much for you in the past. 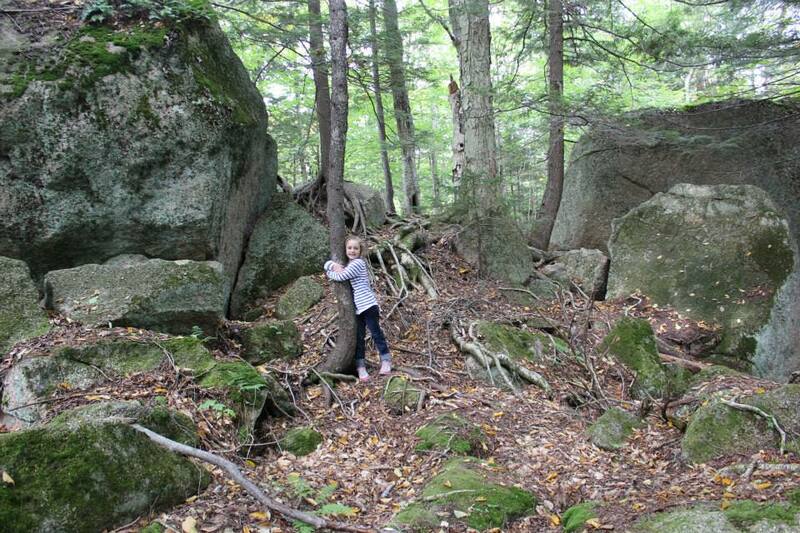 With a little bit of hiking under your belt now, we thought you would really enjoy it this year. 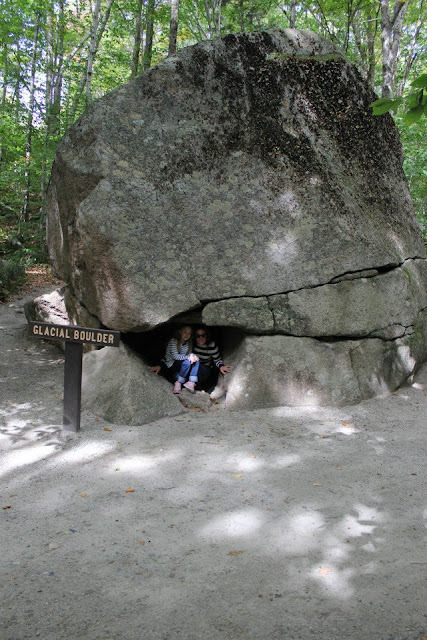 We packed snacks & water, & knew that we could find places to rest if you got tired. When we started the trail, the path was paved. I was a little disappointed. 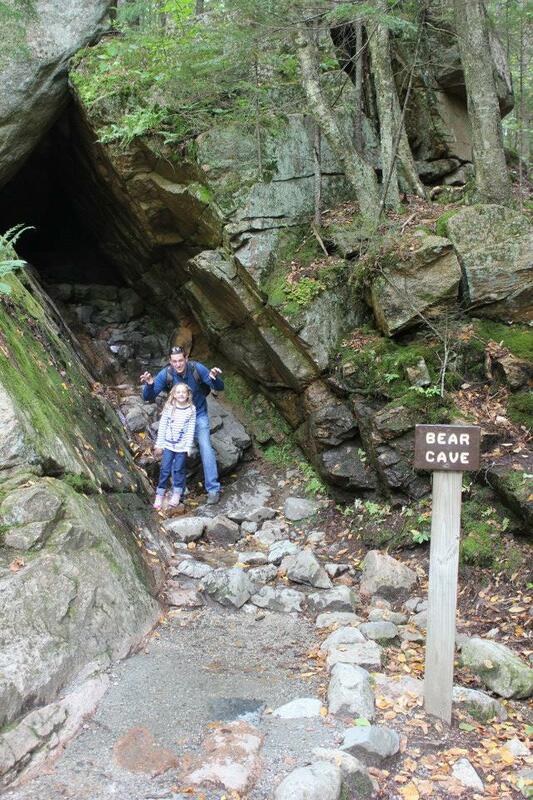 A paved trail wasn't quite the immersion into nature I had been hoping for. 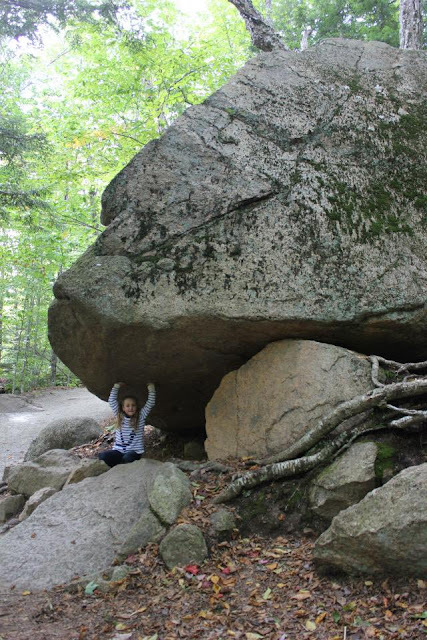 Luckily, the pavement ended soon after. 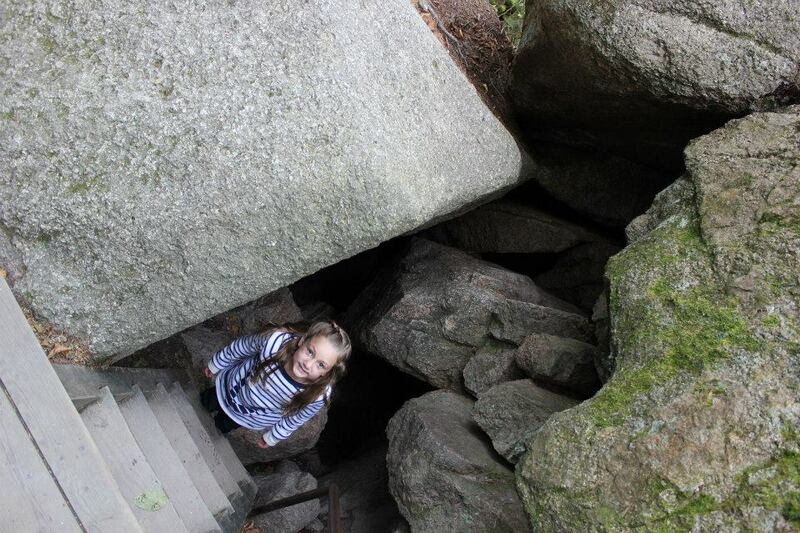 Step after step & around each & every corner I was absolutely & completely awed. 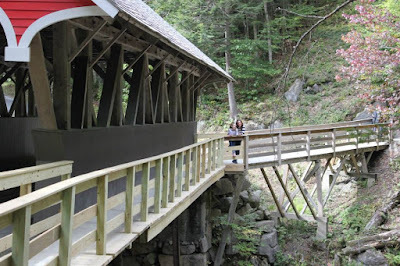 We hiked over rustic bridges, across rumbling streams, under glacial boulders, along massive waterfalls, through tall trees, into tight caves, among bright foliage, & in full view of majestic mountains. It turns out we didn't need to stop much for you to rest, but we did stop plenty so that we could take in the natural wonders around us. 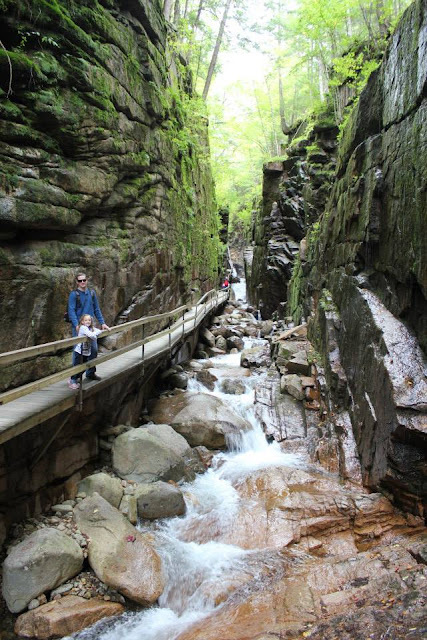 I loved how we weren't in any hurry & truly took our time exploring every piece of the Flume Gorge. 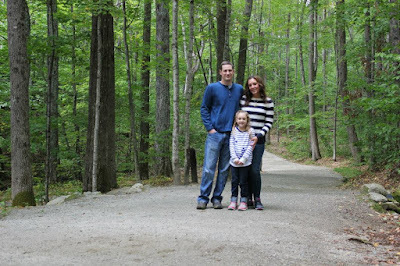 We talked & laughed the whole way (although there were a couple times Daddy & I thought you were going to take a tumble, & I had a few mini heart attacks during those moments). 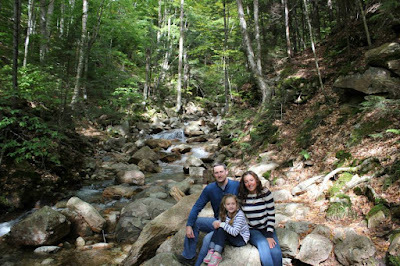 It took us two hours to hike just two miles, & it was probably my favorite two hours & two miles of our whole New Hampshire trip. 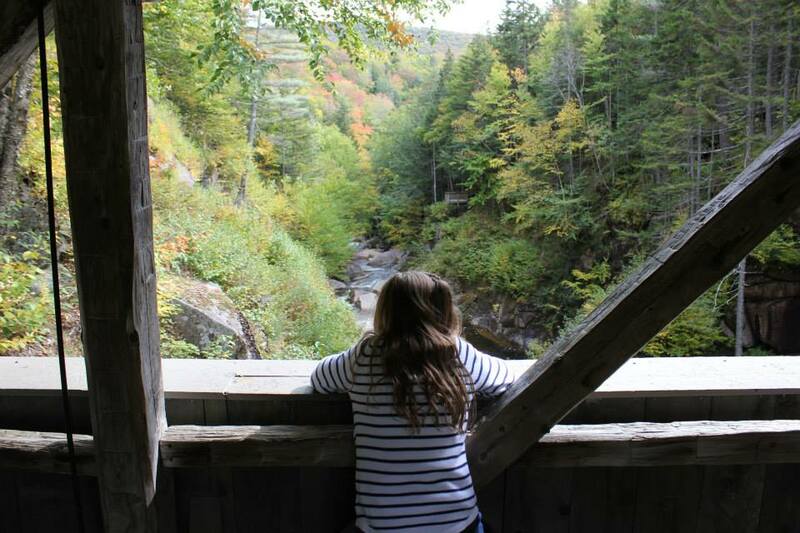 On a beautiful & brisk day in October, I think the Flume Gorge stole a piece of my heart. 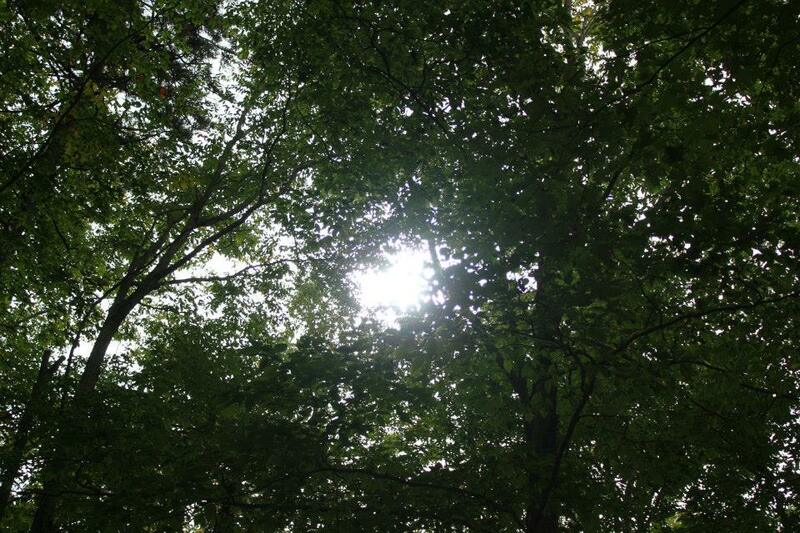 I hope we can return there someday soon.